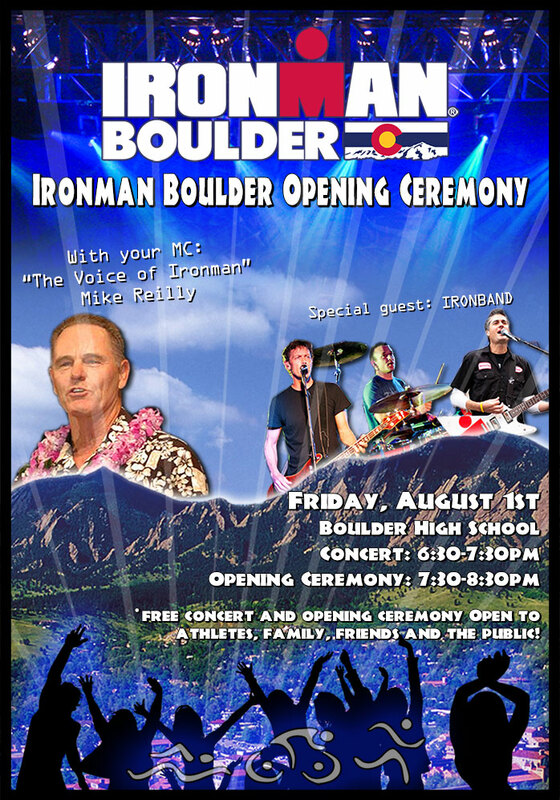 Ironband is heading to the Rockies and thrilled to be part of the 2014 Ironman Boulder Opening Ceremony festivities! If you’re heading to Boulder for the race or you live in the Boulder/Denver area come out for an evening under the stars as we kick off race weekend at the inagural Ironman Boulder! This event is free and open to athletes, their family and friends, and the general public. We’ll kick things off with live music at 6:30pm before “The Voice of Ironman”, Mike Reilly, takes over the mic as he hosts the Opening Ceremony at 7:30pm. We’ll see you in Boulder on August 1st!